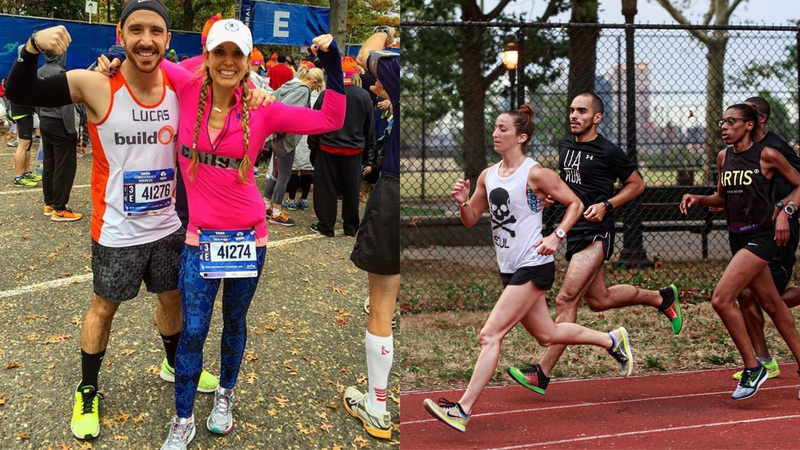 You both are running the NYC marathon this weekend — tell us about your training schedule. EMILY TURNER: I am indeed! Honestly, I keep my training pretty simple. Six days on the bike, one run day, one yoga class per week and one full rest day, plus a physical therapy and acupuncture session each week. I'm a big believer in NOT over-training out on the road, so my method gets me ready for race day but keeps my muscles and joints in a condition that allows me to teach my full class load. My preference at this point in my career is to focus more on consistency versus speed. SAM SCAFFIDI: I can't believe it's finally here; I feel like I've been training for this marathon forever! I've been running consistently since the spring and for the past eight weeks, I've committed two days a week to marathon training: a track/speed workout and a long run. How was it preparing for this race? Were there any obstacles? EMILY TURNER: It's great. I actually feel better when I'm training for something. I get way more focused on recovery when I'm doing so. I take an Epsom salt bath a few times a week, sleep more, drink less and foam roll every night. Of course, there are always obstacles, but I prefer to just look at them as positive challenges. It's never easy to wrap your brain around going out for a 19 mile run by yourself, but knowing how good the finish line will feel on November 6th pushes me to rise above the doubt. 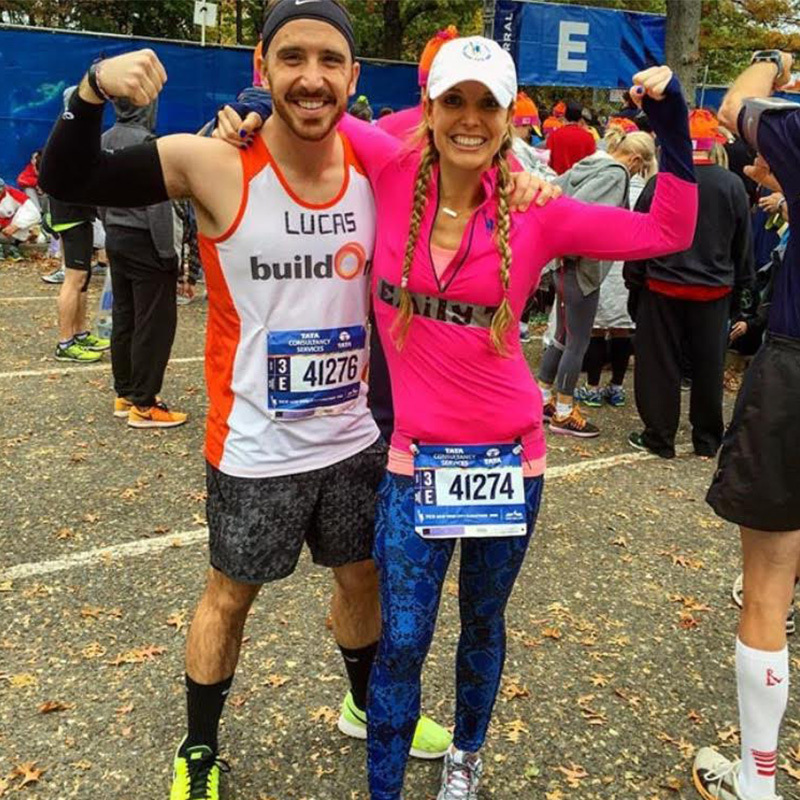 SAM SCAFFIDI: Preparing for the NYC Marathon has been so much fun! 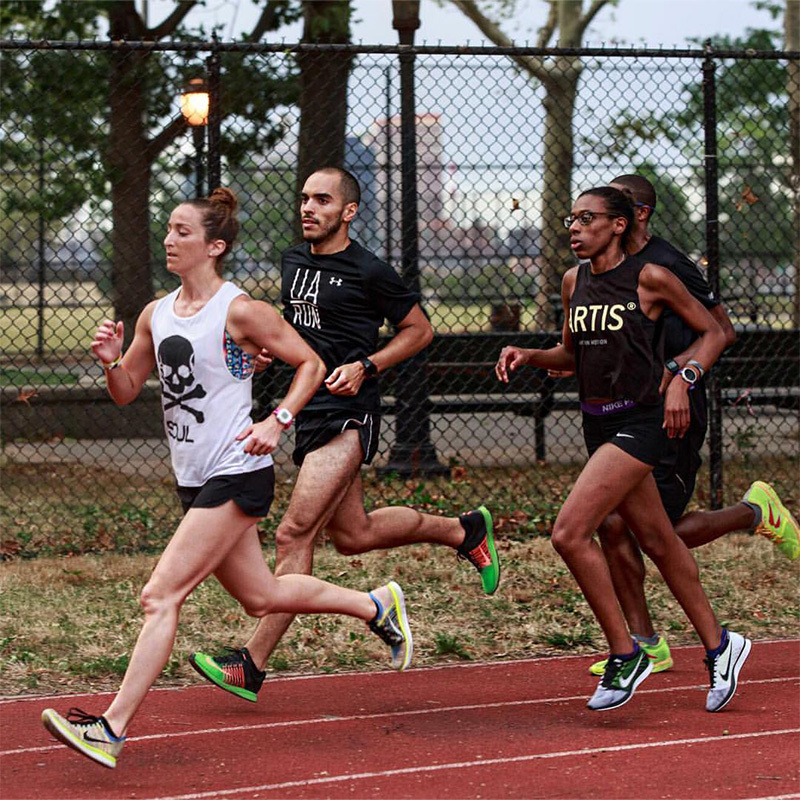 I think one of the hardest parts of prepping for a race is making time to run, but I'm at a huge advantage — riding two to three classes per day keeps my endurance in check so I don't do quite as much running as conventional training plans might advise. Truly it's been a really fun process and I'm so lucky to have supportive riders and friends and family cheering me on and keeping me motivated throughout all of it! How did you get into running? How many races have you completed? 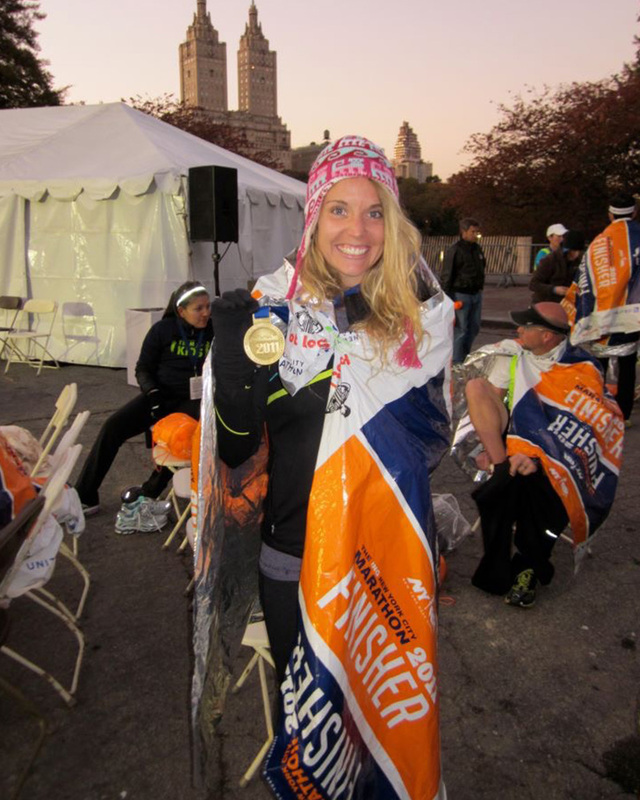 EMILY TURNER: This is my fourth NYC Marathon! I'm so excited. I started jogging lightly in college and continued when I moved to NYC after school as a way to explore the city by foot. Running has become my go-to way to navigate a new city. It's free, it's fun (in my opinion!) and you get to see things that you may never see by reading tour book. SAM SCAFFIDI: I've always kind of been a runner... I played soccer, field hockey, basketball and ran track and cross country in high school. 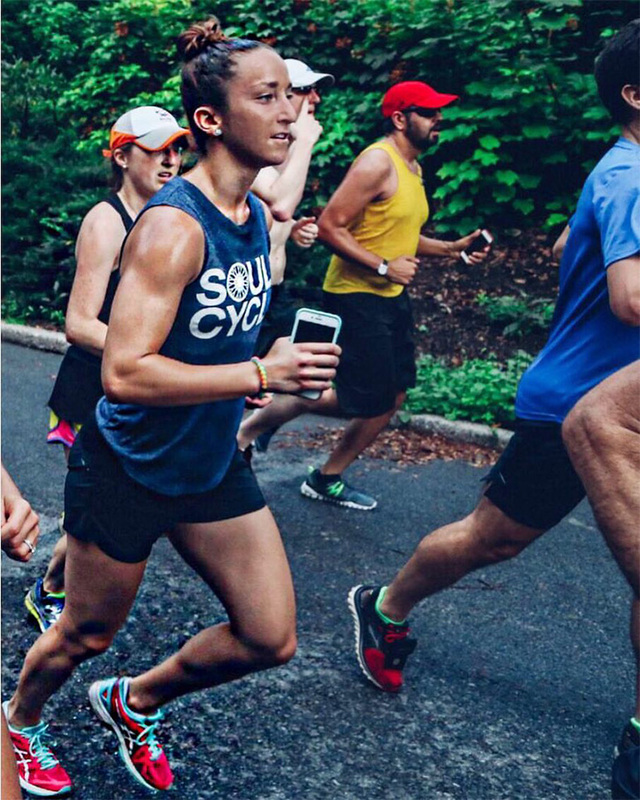 I used to reject the idea that some day I'd be running marathons — I guess it wasn't "cool" in my mind back then — but now I've fully embraced it and have really found a passion for running! This will be my fourth marathon and the one I feel most prepared for! 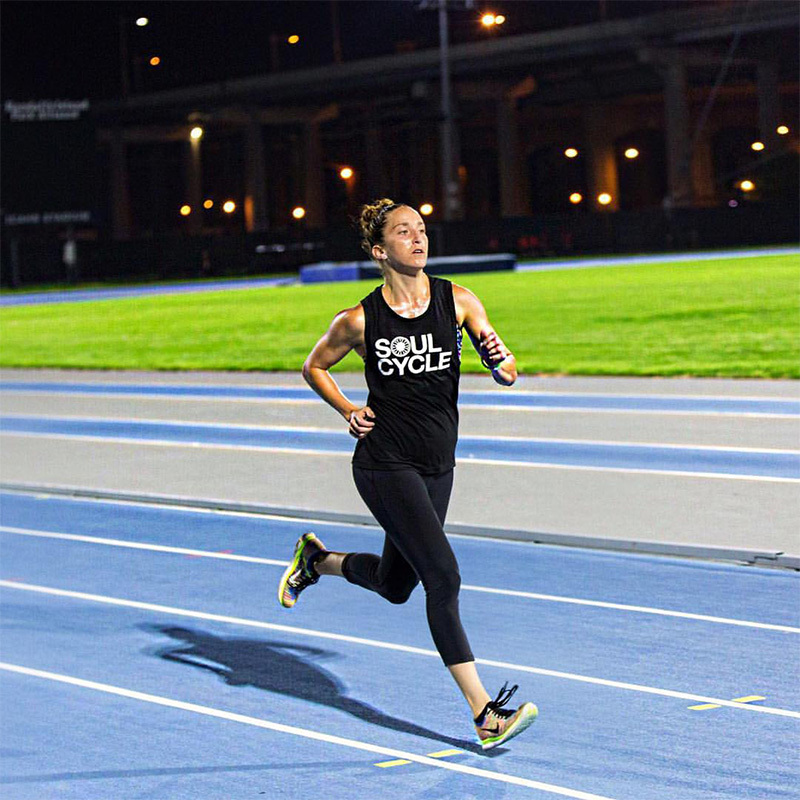 EMILY TURNER: I feel stronger on the bike when I'm running — it's not technically a cross-training workout since you're using the same plane of motion as cycling, but it's more for my brain. The things I see in the park and on the streets of New York fill me with tons of inspiration. You see people of all ages and levels of fitness, from mom's pushing strollers postpartum to men in their 70's wearing race t-shirts from the 1980's. It's thrilling to me. And the same can be said in reverse. 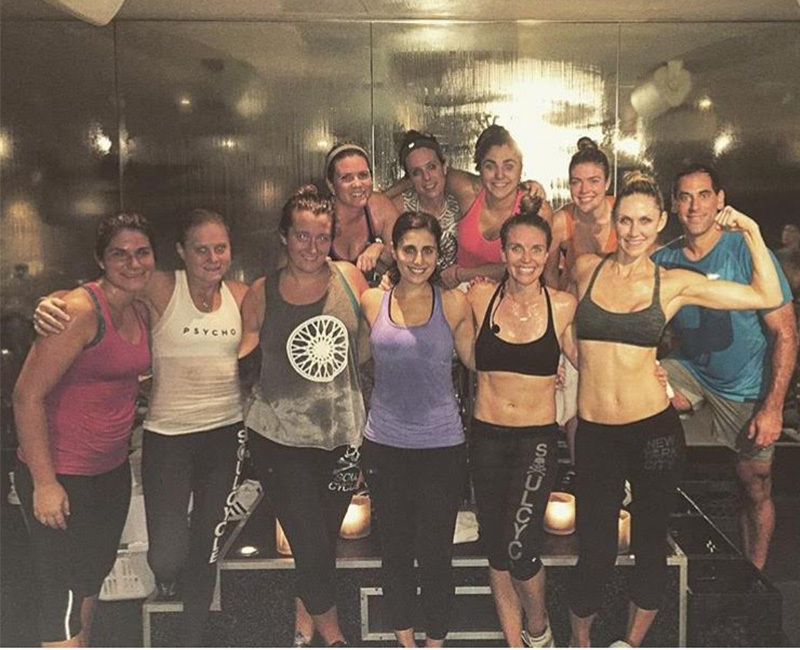 SoulCycle is not just a fun, dance class on a bike (though it totally can be! ), but it's also a place where I come to get damn strong — and I bring our riders along with me. I mentioned above I only run once a week… the rest of the training happens on the bike. SAM SCAFFIDI: Running and riding go hand in hand for me. The bike keeps me "marathon ready" year round; strong legs, great endurance and a positive mindset really make it my strongest training tool. And running relies on many of the same principles you find in class: Make it look easy (even when you're struggling, stay relaxed), form first, breathing is key, you will get better but it won't get easier and of course, in it's simplest form, you just put one foot in front of the other. Does music help you when you hit the pavement? What songs kept you motivated, both during training and throughout the race? SAM SCAFFIDI: To be totally honest with you, I don't listen to music when I run. On the rare occasion that I do, I listen to Mumford & Sons radio on Spotify... which sounds like an odd choice, but don't knock it ‘til you try it! I listened to comedy podcasts for a while, too, but for the past eight weeks, I have ditched my headphones completely and will not be running with them on Sunday. Do you have any tips for people who are starting to long-distance run? EMILY TURNER: Dude, just go for it. You have nothing to lose — in fact, you have so much to gain! Start slow and start small. Walk five minutes, then run five minutes and alternate like that as long as you need to, then slowly work your way up. SAM SCAFFIDI: Get the right shoes for YOU, not just the cool ones! Drink lots of water. Stretch. Foam roll. Eat carbs as needed. What are your favorite sneakers for running? EMILY TURNER: Brooks Ghost for life (I've run every marathon in them!). SAM SCAFFIDI: Asics! This will be my third marathon wearing the Gel - DS Trainer 21. How has the SOUL community supported you throughout your training? EMILY TURNER: I answered this question last year for the blog and my answer is still the same: More than words can say. The camaraderie, the friendship, the support, the sharing of training battle stories, the teamwork — it's just incredible. I feel like we've built a community inside of a community, and honestly, it's one of my greatest accomplishments in my career. At our third-annual marathon ride at East 63rd Street, we had almost 20 riders in attendance who will be out there with me Sunday. It was inspiration overload. To Alyssa W., Mikel, Ashley D., Sheeva, Jaime, Liz, Alex, Kait, Alyssa S., Matt, Looch, Charlie, Kendra, Brooke, Raffaella, Katie D., Erica, Marie, Kim, Ryan plus my SOUL fam Sam, Kyla, Akin and the thousands of other runners who will lace up early Sunday morning — I wish you the best of luck! Let 's go get it, #teamSoulCycle. Run steady, run strong and don't forget for one second to enjoy the journey!!! SAM SCAFFIDI: I'm so lucky to have the SOUL community supporting me, riding with me and training with me. Each and every class has played a role in my training, be it physical or mental, and each rider who has shown up and given everything they have has inspired me to do the same on Sunday! SAM SCAFFIDI: My bib number on Sunday is 15310... you can track me, along with instructors Emily T. and Akin, online, on the app or somewhere along the course!